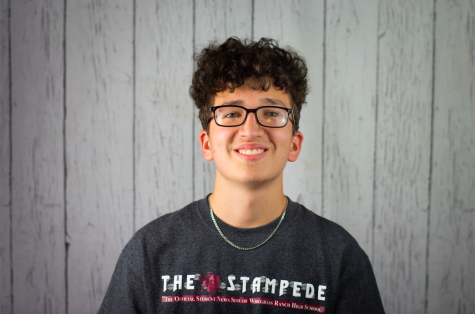 Philip Carvalho is a senior at Wiregrass Ranch, and it is his second year writing for The Stampede. He is the secretary for the National Honor Society club and a member of the Legacy Christian Club. He likes to watch sports like football, soccer, and basketball and loves to play soccer and basketball. He enjoys sitting down and watching hours of Sports Center and learning all the latest sports news. He is excited to cover a number of sports this year and get to know the coaches and players. He aspires to be a sports journalist for ESPN or Sports Illustrated.